At Garfish Manly we enjoy a strong local following with many around the area dining with us regularly. During September we have a special offer to say thanks and to give you the opportunity to take Garfish home with you. Enjoy a glass of wine complimentary while you wait! 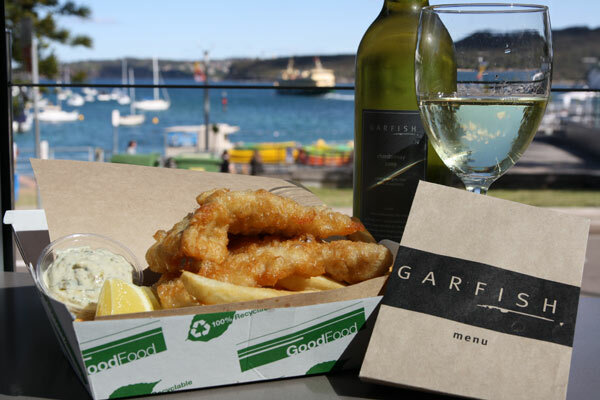 Come in any business day during September, between 3pm and 6pm, order our famous fish & chips or squid & chips, during the short wait for your order relax in our bar with a complimentary glass of Garfish Chardonnay or Garfish Shiraz. Then we’ll have you on your way with a quick and tasty evening meal. It couldn’t be easier, if you drive home or return on the ferry call into Garfish Manly as many times as you like during the month and we’ll look after you!